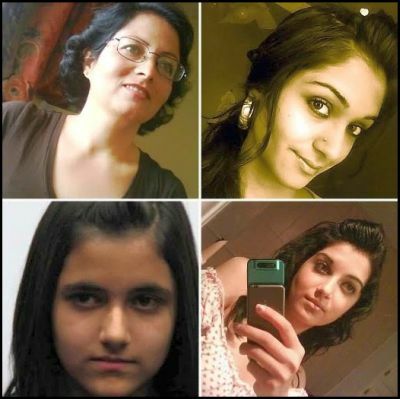 Will guilty verdict in Canadian ‘honor killing’ trial be a turning point for justice? On January 29, after a ten-week trial and fifteen hours of deliberations, a seven woman, five man jury returned with a verdict of guilty to first degree murder for all three Afghan-Canadians who were charged in the pre-meditated murder of four female members of the polygamous Shafia family. The convicted are each facing 25 years without parole. On June 30, 2009, when the bodies of the dead girls and woman were discovered in the family’s Nissan in the Rideau Canal, the accused wept uncontrollably and went through an exaggerated public display of mourning. On wiretap, Mohammed said that if he had it to do over again he would. His self-pity, self-righteousness, and cruelty are typical of the kinds of men who commit such murders. The first known honor killing in the United States took place in 1989 in St. Louis, Missouri and was perpetrated by a father, Zein Isa, an Abu Nidal terrorist, and his wife, who together stabbed their 16-year-old daughter, Palestina (Tina) Isa 13 times as she cried out for mercy. The FBI had wire-tapped Isa’s phone for terrorism-related reasons; therefore, the jury was able to hear the actual murder. Zein was unrepentant. He viewed himself as the injured party, he said that Tina had attacked him;he was only defending himself and his honor. Palestina’s crimes including having a friend, (not a boyfriend), who was both African-American and male, refusing to travel to provide her father with “cover,” perhaps for being too academically“bright,” and for having begged her teachers and a school counselor to help her escape her savage beatings and punishments at home. Unfortunately, the social worker who visited the home agreed with Zein that a father needs to exert a strong hand against a potentially willful or wayward daughter. 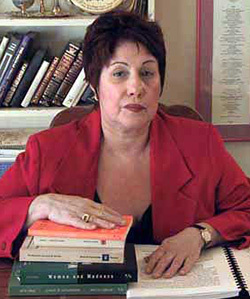 Afghan-Canadian and first wife, Rona Amir’s crime, in addition to her infertility, was that she supported Tooba Yahya’s three daughters in their desire to assimilate and westernize. Like Palestina Isa, Geeti, the youngest, had told her teachers that she wanted to be placed in foster care. The atmosphere in her household was filled with terrible and unceasing tensions: paternal demands that his daughters behave as if they were still living in Afghanistan (or in the Muslim world), and not in Canada; daily physical, psychological, and verbal battering; continuous rivalries between the two wives; a brother whose job it was to stalk and monitor his sisters’ behaviors. Such behavior is typical, not unusual, among some immigrants who may be living in the West but whose hearts and minds remain in the East. I found precisely these patterns in two studies that I published about honor killing in Middle East Quarterly in 2009 and 2010. Western-style domestic violence and even domestically violent femicide is not the same as an honor killing. For example, Westerners rarely kill their young daughters nor do Western families of origin conspire or collaborate in such murders. While Sikhs, and Hindus, (mainly in India), do commit honor killings, the majority of such murders in the West (91%) are Muslim-on-Muslim crimes. The high-profile Shafia case may be a watershed decision in terms of Canada’s long standing Multiculturalism Policy which was passed in 1971 under Prime Minister Trudeau and legally enshrined in 1988 as the Canadian Multiculturalism Act. According to Dr. Salim Mansur, a Muslim Canadian professor and author, such policies are ultimately “racist.” They keep immigrants confined to their “group” and do not encourage members to become “individuals” and “citizens” of a modern liberal democracy. Although some have called for a special “honor killing” law, it is important to note that the Shafias were tried and convicted under existing Canadian law. They were not tried for committing a culturally approved “honor killing,” but for having conspired to commit a cold-blooded and pre-planned murder on Canadian soil. So, too, were Muslim-Canadian Aqsa Parvez’s father, Mohammed, and her brother, Waqas, who were tried and convicted for murdering the 16-year-old girl because she refused to wear the hijab and other traditional clothing. Her mother, who was not tried, lured her daughter home from a shelter for battered women to her death. Defense lawyer David Crowe has vowed to appeal. The accused continue to insist they are innocent. I hope that Canadian and North American Muslim associations and experts will welcome this decision in which three murdered Muslim girls and one murdered Muslim woman were considered important enough to merit a long and expensive trial in the search for justice. 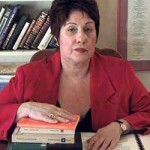 By Dr. Phyllis Chesler Ph.D.